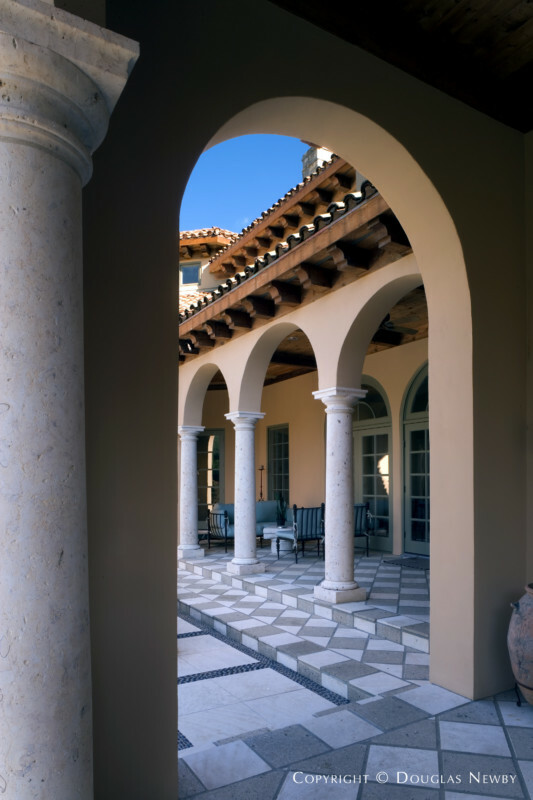 On a private street of estate and architect designed homes is this majestic Mediterranean home on 2.37 acres. Removed from the street, placed on the crest of a hill, landscape architects David Rolston and Robert Bellamy have created an environment accentuating the home and the tranquility of the site. This over 7,000 square foot residence, in every direction, overlooks beautiful landscaped gardens - formal gardens, informal gardens, cascading koi ponds, streams, and vast manicured lawns. You will quickly recognize the distinction of this estate property.